Woah!! This is Greek proto-techno from 1985. Pianist and composer, Lena Plantonos, was born in October 1951, in Heraklion, Crete. This is an underground classic of European new wave/cold wave and continues to influence electronica today. And here’s mega-star Vangelis. The behemoth of 70s and 80s ambient music, soundtrack composer for blockbusting films such as Chariots Of Fire and Bladerunner and classically trained electronic wizard shows his surreal artistry here. 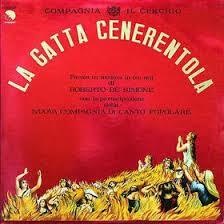 This is an operatic piece by Roberto De Simone and Nuova Compagnia and is a pretty pricey item nowadays. Thanks to its chugging rhythm, tribalistic drum patterns and wild chanting, it has found favour with DJs from the Chicago scene, such as Rahaan, through to electro/sleaze jock Ivan Smagghe, who admitted it’s getting pretty weird if he’s dropping this. Enjoy!